4K enthusiasts looking for the very best in quality cabling will be delighted by our range of premium 4K2K HDMI cables. 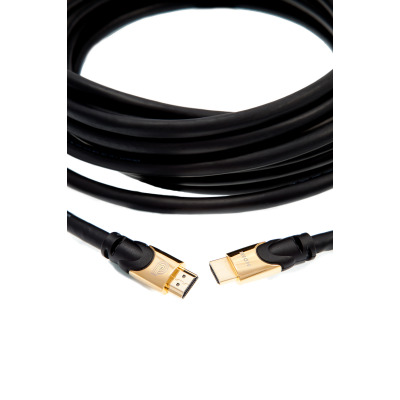 Within Euronetwork’s wide selection of HDMI leads, we have these excellent premium cables that come with gold ends. Gold ends don’t tarnish over time, meaning the level of performance will remain high for a longer time than alternatives such as copper. 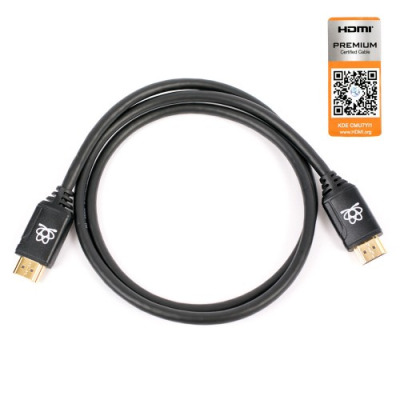 We offer HDMI 2.0v specification cables. These can be easily connected to television plasma screens and allow users to immerse themselves in high-quality gaming, television, film or something else entirely. Euronetwork’s selection of premium 4K2K HDMI cables come in a variety of lengths to meet your requirements. We have cables with the capability of delivering 4k 18gbs @ 60Hz up to 5 metres. The longer cables in our range include 10m and 20m versions, and these are capable of delivering 4K @ 10gb 30Hz. There are also HDMI 2.0 cables available from Euronetwork, providing 4K @ 18Gpbs 60Hz. Our HDMI cables are premium certified by the HDMI organisation, and our cables come from an official HDMI adopter to manufacture these cables. Euronetwork also has a fine range of standard 4K HDMI cables, as well as boosted HDMI cables and Panel Mount HDMI cables to select from. We can meet your HDMI cable needs, so don’t miss out. And if you’re looking to buy HDMI cables in bulk, we can meet this requirement and provide you with wholesale discounts. You can also create an account with Euronetwork today, and if you have any questions, feel free to contact our team. We are available via telephone on +44 (0) 1908 371909, or drop us an email on sales@euronetwork.co.uk.